The Minister for Planning, Matthew Guy, has approved the stage one of the East West Link but has ignored key recommendations from the planning panel to reduce impacts from the project. Mr Guy announced on Monday that he has granted relevant approvals for the project on the condition that the Linking Melbourne Authority redesign parts of the western end of the project, and with the condition the Elliot Avenue interchange be scrapped. In a statement, Mr Guy said “my approval is subject to the LMA progressing design refinements to the eastern flyover and the connection from CityLink at Parkville and the Port of Melbourne. 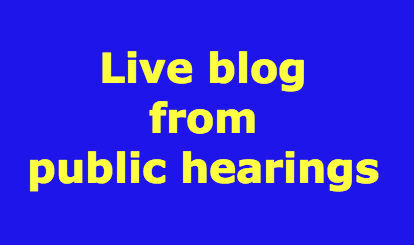 It is unclear exactly which aspects of the project will be redesigned. 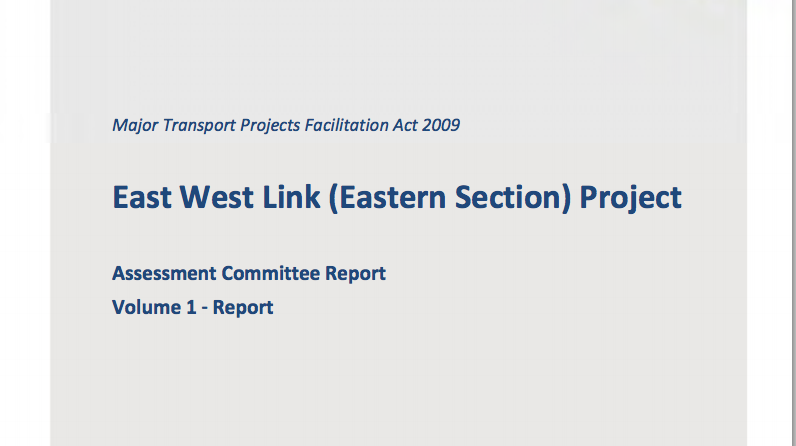 The panel recommended that the southbound connection to CityLink at the western end be relocated outside the project boundary. Combined with the relocation of the Elliot Avenue interchange, and the relocation of the northern connection to CityLink, Ross Straw Field may be left free from impact, but until the LMA submits further designs this won’t be known. The committee found that 23.27 ha of Royal Park “will not be accessible to the public during the Project’s construction phase”. Mr Guy ignored the assessment committee’s recommendation that he set aside Part B of the project. The panel said the viaduct along the western side of CityLink above Flemington and Kensington “has not been adequately assessed, and should be set aside until the proposed widening of CityLink and the Tullamarine Freeway, and the proposed WestLink connection is better understood”. The committee decided not to recommend a supplementary assessment of Part B because of announcements after the hearings had concluded. The panel supported the project overall saying it accepted there “economic and community benefits in linking the Eastern Freeway with CityLink”, but it also said that “the direct impacts on local communities need to be better resolved”. The panel also said the Comprehensive Impact Statement “overstates” support for the East West Link in the Eddington report and that Eddington pointed to public transport improvements as well as a city bypass as required transport improvements. The panel criticised the reference design saying it had “failed to deliver appropriate outcomes” and that it “should not be used as a template for the final design”. It was critical of the process that meant the reference project was not responsive to Urban Design principles and framework. The committee made pointed comments about difficulty in assessing a project based on a reference design. With respect to the Hoddle St flyover, it said “at the end of the day it is not up to the Committee to redesign the Reference Project. It also commented that parties had been working to “challenging timeframes”. The final design on the project is unknown and is reliant on further work from the LMA. Two consortia are currently in the running for the tender which is due to be announced in September. Relocate the Manningham Street playground within walking distance for local residents at the start of the project in consultation with the City of Melbourne. Facilitate the formation of a Community Liaison Group for the Manningham Street/West Parkville residents and property owners. Establish a community grant program to operate during construction of the Project to fund community support activities and small capital works targeting community, sporting and recreation facilities in the local region as defined in the social impact assessment. Prior to the commencement of major construction works in the area, prepare and implement a master plan for Debney’s Park developed in consultation with relevant stakeholders including the Office of Housing, Moonee Valley City Council and Flemington Neighbourhood Renewal Board or other representative of the estate tenants. If the Essendon Community Gardens are impacted by the Project, provide mitigation works requested by the Gardens. Contaminated spoil is not to be stored within Royal Park, Manningham Parklands, Ross Straw Field or the former Fitzroy Gasworks site. Facilitate a process that enables the opportunity for voluntary purchase agreements with property owners that have an interface with, or are impacted by the Project that are located outside the Proposed Project Boundary. Negotiate with Urban Camp to resolve a fair and satisfactory relocation and/or temporary closure strategy and associated compensation package. The short and long term impacts of Part B of the Project alignment as it affects SP AusNet’s WMTS are undesirable and should be avoided.